By this standard our parents would have been felons… Anyone who grew up in the 50’s, 60’s, 70’s, or 80’s probably remembers having free rein to go where ever they wanted and do whatever they wanted, the only rule being you had to be home by dinner time. Cut to this story from Houston where a busybody neighbor got a mom arrested for watching her kids play in the cul-de-sac outside their house. 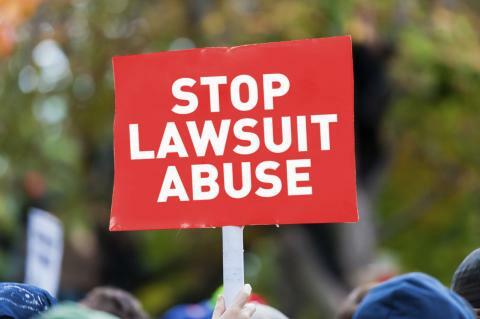 LA PORTE, Texas – A stay-at-home mom from La Porte has filed a lawsuit against the city’s police department, an unknown officer and one of her neighbors. Tammy Cooper said she was wrongly accused of endangering her children and was even forced to spend the night in jail, all because she let her kids play outside. She said her children, ages 9 and 6, were riding their motorized scooters in the cul-de-sac where they live while she watched from a lawn chair in her front yard just a few feet away. Cooper said a little while later, a La Porte police car pulled up in front of her home. The charges weere eventually dropped, but Cooper had to spend the night in jail. Something tells me we’re not getting 100% of the story, but even if that’s the case this appears to be a monumental over reaction on the part of the La Porte police. NFL Pulls Ref From Game Over 'Open Rooting,' Will Media?